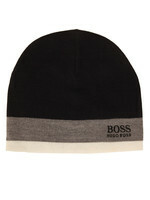 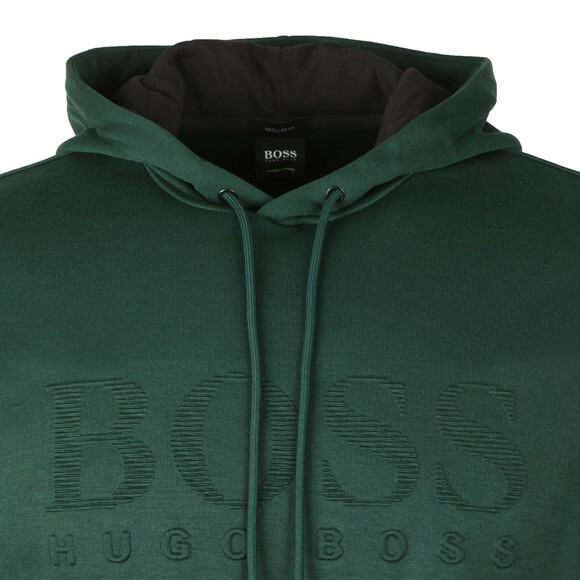 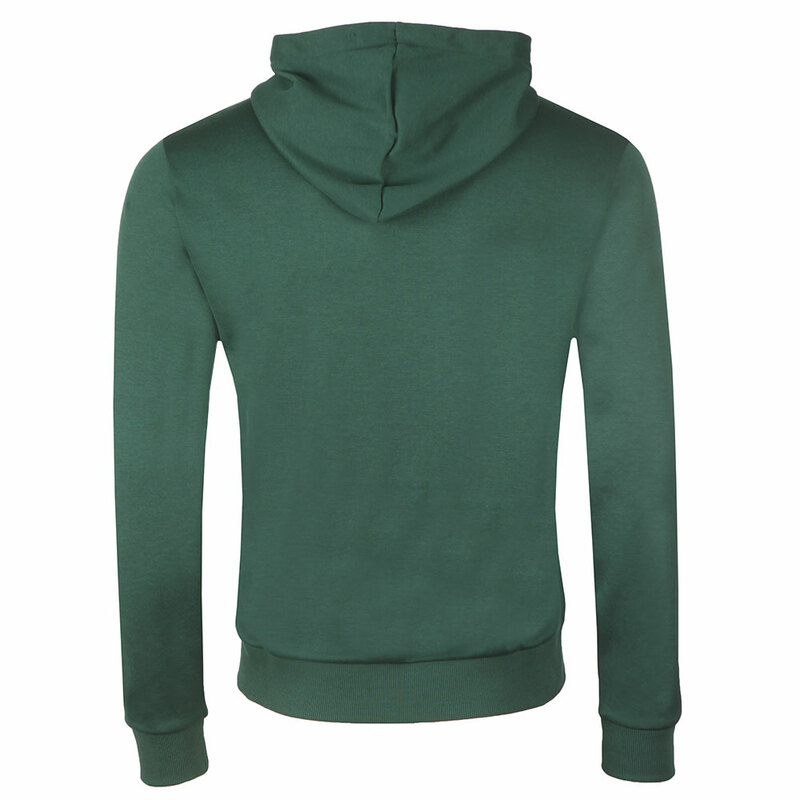 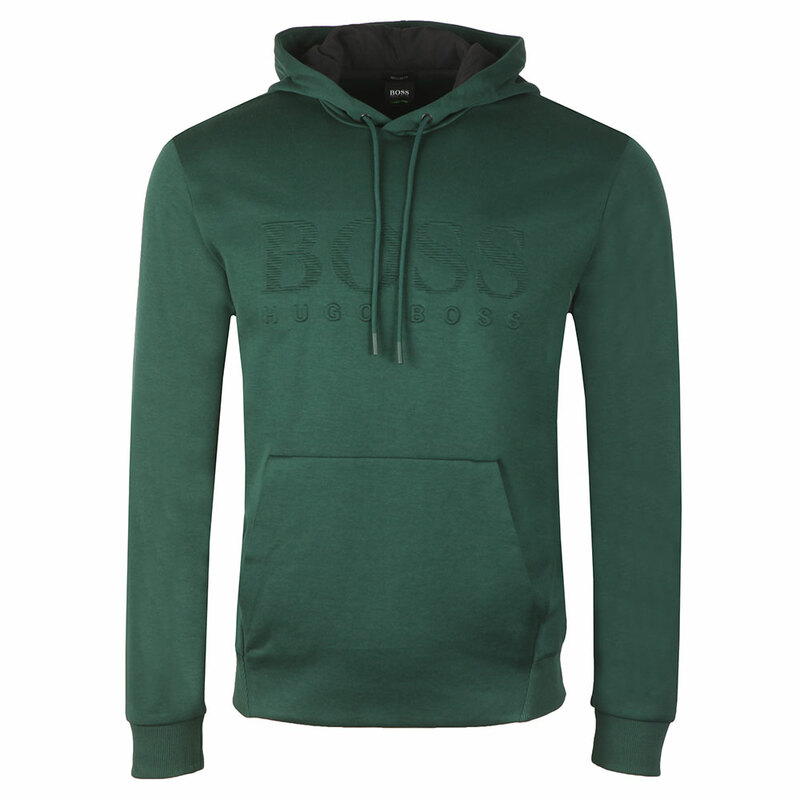 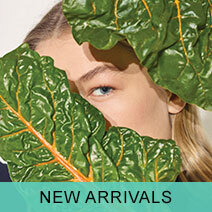 BOSS Athleisure Soody Hoody in Green. Given a textures BOSS chest logo and a stomach pocket. 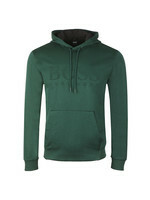 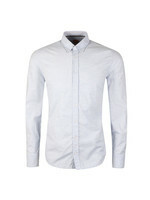 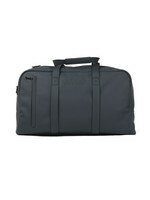 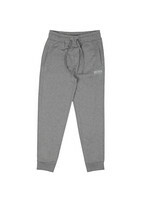 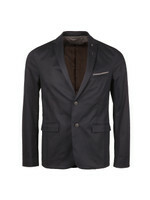 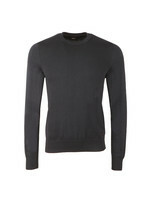 The hoody is designed with a missing front hem but has an elasticated one on the sides and back.